Hi guys, I have been looking to buy a restored Rubberset or Ever-Ready brush, but not having much look at the moment. So was wondering if there are any good modern brushes, made in a vintage style? Have just ordered this great looking brush off the bay. Not an Ever-Ready or Rubberset, but I just couldn't resist. I love the style of the 400, I have 3 Razorock 400 style brushes, one of them I re-knotted with a 2 band badger and another with a Semogue 2000's boar knot. 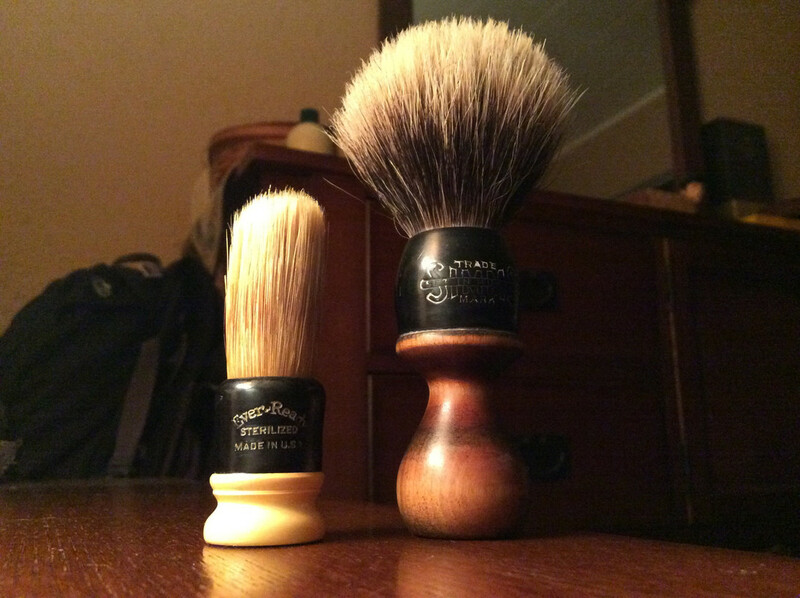 I also have the BSB version of the 400 with a Shavemac silvertip knot, my first 400 style brush was the Shavemac.... I love them all. There is a vintage Rubberset for sale over at TSN. My brush finally arrived today. Absolutely love it. I've only seen one of these before. So I am assuming they must be pretty hard to come by. I had Brad Sears in the USA make me a handle in the style of a Rubberset 200, which he loaded with a shavemac pure badger knot. It’s a lovely brush aesthetically and performance-wise. My vintage Simms (made in Canada) is similar. I installed a TGN two band knot.